The month of May is significant in the history of the Tamil secessionist armed struggle in Sri Lanka. It was on May 5, 1976, that a section of militant Sri Lankan Tamil youths re-organized themselves into an organization called the Liberation Tigers of Tamil Eelam (LTTE) which had the establishment of a separate Tamil State on the Island through armed struggle as its fundamental objective. It was on May 14, 1976, that the chief political configuration of the Sri Lankan Tamils re-named itself as the Tamil United Liberation Front (TULF) and adopted a resolution demanding the creation of a Tamil State called “Tamil Eelam”comprising the Northern and Eastern Provinces of the Island. Decades later in May 2009, the Liberation Tigers of Tamil Eelam underwent a total military defeat at the hands of the Sri Lankan armed forces in the Mullaitheevu district of Sri Lanka’s northern province. Four days in May from May 15 to May 18 were of crucial importance in this regard. On May 19, 2009, South Asia’s longest war came to an end with the official announcement that the LTTE leader Thiruvengadam Veluppillai Prabhakaran was dead. His body was recovered on the banks of the Mullaitheevu lagoon known as “Nandhikkadal”. It can be seen therefore, that the first half of May has proved to be of great significance in the Tamil armed struggle for Tamil Eelam spearheaded by the LTTE known as the Tigers. It is against this backdrop that this column in this week of May re-visits some of my earlier writings in the past and focuses on the rise and fall of the LTTE and death of Tiger supremo Prabhakaran. The evolution and growth of the armed struggle for the goal of Tamil Eelam in Sri Lanka saw many Tamil militant groups emerge across the politico-military horizon. There was a time when nearly 34 outfits - big and small - existed. Among all these, the single organization that kept the Tamil armed struggle alive was none other than the LTTE led by Velupillai Prabhakaran. The LTTE under Prabhakaran fought on relentlessly towards its avowed objective of a separate Tamil State until the very last. Prabhakaran was born on November 26, 1954. He was the youngest in a family of two boys and two girls. Since he was the youngest, Prabhakaran’s pet name was “Thambi”or younger brother. His father was Veerasamy Thiruvengadam Veluppillai. Prabhakaran’s mother’s name is Paarvathipillai. Prabhakaran’s family hailed from the coastal town of Valvettithurai, referred to generally as VVT. Prabhakaran’s family was of respected lineage in VVT. They were known as belonging to the “Thirumeni kudumbam” or Thirumeni family. Prabhakaran’s ancestors constructed the famous Sivan Temple of VVT. As a schoolboy, Prabhakaran, like most youngsters of his age was fond of cycling and playing volley ball and soccer. But he was no sportsman and preferred to read or watch action films. Another pursuit in boyhood was the targeting of squirrels, lizards, Chameleons and small birds with a catapult. As a kid, Praba would prowl about areas of dense vegetation searching for his quarry. His memory power was legendary. Prabhakaran would remember faces, names and the last time he had seen someone years ago. His eyes were always sharp and roving taking in the surrounding area and ever on the alert. As his eyes were large and striking, Prabhakaran was teased as “muliyan” (goggle-eyed). Prabhakaran’s attitude and political thinking was shaped by contemporary events and environment. The gruesome tales he heard as a four-year-old child about the 1958 anti-Tamil violence impacted greatly. One day, Prabhakaran’s home had a female visitor whose legs were scarred by burns. Upon inquiring, the little boy was told that the woman’s home had been set on fire by a “Sinhala” mob. She had escaped with burns. Young Praba also heard the famous story of the Brahmin priest in Panadura being burnt to death in a bonfire, and also about the infant thrown into a tar barrel. All these tales made an indelible impression. Being a native of Valvettithurai was another factor in making a militant out of Prabhakaran. VVT had acquired a reputation for smuggling and had a sub-culture of its own. “Operation Monty” was launched by the armed forces in post-independence Sri Lanka to check and counter illicit immigration and smuggling. This necessitated the setting up of security camps in VVT from the early fifties of the last century. There was much friction as a result of this military presence. This in turn led to a confrontational mood prevailing between the people and armed forces long before the political crisis escalated in the seventies. 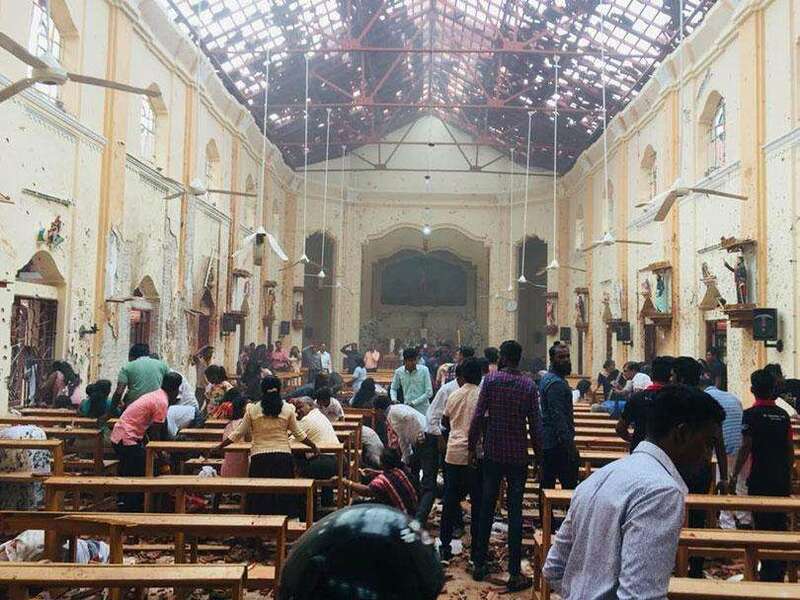 It was in this environment that Prabhakaran and a host of other VVT youth grew up in Valvettithurai with anger and resentment towards the armed forces and by extension the government in Colombo held responsible. "The militant youths referred to as ‘Boys’ did not agree with this and continued to pursue their goal of Tamil Eelam through violent methods"
Prabhakaran growing up in this atmosphere got politically motivated in the late sixties and early seventies of the previous century. This was when former Kayts MP V. Navaratnam broke away from the Ilankai Thamil Arasu Katchi (ITAK) known as Federal Party (FP) in English. Navaratnam once described as the “golden brain” of the FP formed the “Thamizhar Suyaatchi Kazhagham” or Tamil self-rule party in 1968. Navaratnam abandoned the federal demand as being too little and too late and instead opted for “Suyaatchi” or “self-rule” - a euphemism of sorts for a separate State. There was a pedagogue named Venugopal master for whom Prabhakaran had great regard and respect. Venugopal master became an active supporter of Navaratnam. Several students, including Prabhakaran became his followers and turned into ardent devotees of Tamil self-rule. The Suyaatchi Kazhagham also started a newspaper “Viduthalai” (Liberation/Freedom). Navaratnam himself translated and serialized “Exodus” the famous novel written by Leon Uris. It was named “Namakkendroru Naadu” (A Country of our own), young Prabhakaran eagerly devoured it and became hooked on the dream of a country for Tamils. The Tamil self-rule party was defeated in the 1970 polls. No candidate, including Navaratnam won. But the seeds of self-rule sowed in the campaign had taken firm root in the heart and mind of Prabhakaran. With the introduction of standardization in 1970, the student population of Jaffna began getting radicalized. The Tamil Maanavar Peravai (Tamil Students’ Federation) and Tamil Ilaignar Peravai (Tamil Youth Federation) were formed. A series of meetings, processions and rallies were held. Prabhakaran himself began participating in some of these activities and also attended most of the Tamil student and youth activist meetings. Soon he began losing interest in meetings and non-violent agitation. These were too tame for him. Greatly inspired by tales of Israel’s Hagannah and Irgun; Prabhakaran became firmly convinced that perceived Sri Lankan State oppression could be resisted only through force. It was then that Prabhakaran wanted to buy a gun and practise shooting. There was a notorious “chandiyan” (thug) then in Point Pedro called Sambandan. He sold guns illegally. When Prabhakaran approached him for one, Sambandan priced an old pistol at 150 rupees. Prabhakaran and some like-minded youths pooled their resources and came up with the princely sum of 40 rupees. Undeterred Prabhakaran sold his gold ring which had been given to him by his elder brother-in-law - as was the custom the younger brother of the bride - Prabhakaran, poured water on the bridegroom’s feet when he entered the bride’s house and got rewarded. This was how he acquired his first firearm. Prabhakaran began training clandestinely under the names Maniam and Mani then. A retired soldier helped him in training. By now the youth was beginning to attract the attention of the Police. When the police started making inquiries about “Mani” Prabha knew what was in store. He left home one day to embark on his avowed vocation. Anticipating future problems, Prabhakaran removed and destroyed every single photograph in the house with his picture. When the Police raided his home after Prabhakaran had fled, they could not get a proper picture of him and had to use only the postal identity card used by Prabhakaran to sit for examinations. Prabhakaran teamed up with some others and formed the Tamil New Tigers. Apparently some of the Tamil radicals in the ITAK like Rajaratnam of Nunaavil had formed a group named “Tigers” to fight for Tamil rights in the early sixties. This never got-off the ground. Prabhakaran had begun interacting with Rajaratnam and felt the new movement should be a “revival” of sorts. Hence, Tamil New Tigers (TNT). The acronym TNT was also applicable for the explosive compound “Trinitrotoluene”. The TNT was led by Thanabalasingham alias Chetty of Kalviyankaadu. When the Police cracked down and began arresting prominent youth activists, Prabhakaran gave the slip and crossed over by sea to Tamil Nadu. He was to shuttle back and forth frequently in the seventies. Prabhakaran was never arrested in Sri Lanka. Several other youth groups also emerged and engaged in acts of violence. The TNT made its mark in July 1975 with the assassination of former Jaffna MP and Mayor Alfred Durayappah as he was going to worship at the Ponnaalai Varatharajapperumaal (Vishnu) Temple. Four youths, including Prabhakaran were involved in the murder. Later Prabhakaran went on record that this killing was his “first military action”. The TNT metamorphosed into the Liberation Tigers of Tamil Eelam (LTTE) on May 5, 1976. On that day, around 40-50 Tamil youths met clandestinely at a secret location in the Jaffna peninsula and formed the LTTE. Uma Maheswaran became its leader. Prabhakaran was made Military Commander. A five-member committee was appointed to control and coordinate the new movement. Both Uma Maheswaran and Prabhakaran were members of this committee. Their objective was unambiguously clear. The LTTE’s goal was to establish an independent state called “Tamil Eelam” in the Northern and Eastern Provinces of Sri Lanka . A revolutionary armed struggle relying on guerrilla warfare was to be waged against the Sinhalese-dominated Sri Lankan State. Nine days later, on May 14, the newly-formed Tamil United Liberation Front (TULF) passed a resolution at Vaddukkoddai demanding Tamil Eelam - a separate state for the Tamils of Sri Lanka. In July 1977, the TULF contested the Parliamentary elections on a secessionist platform. The TULF said in its manifesto that the elections were a referendum, and that votes for the party meant a mandate for Tamil Eelam. The TULF swept the polls in the Tamil majority electorates of the North and East, winning 18 seats. TULF General Secretary Appapillai Amirthalingam became Leader of the Opposition. The goals of the TULF and LTTE were the same on paper. In practice, the relatively moderate TULF was prepared to compromise and eventually agreed to the District Development Councils as an alternative to Tamil Eelam. The militant youths referred to as ‘Boys’ did not agree with this and continued to pursue their goal of Tamil Eelam through violent methods. The anti-Tamil pogrom of July 1983 was a watershed that brought moderate and militant Tamils together temporarily. Meanwhile, the LTTE split into two. A large number of members broke away under the leadership of Uma Maheswaran and formed the People’s Liberation Organization of Tamil Eelam (PLOTE). Some like Nagarajah, Aiyer etc., went their own way. Only a handful of the original LTTE members remained loyal to Prabhakaran. A frustrated Prabhakaran went away to India and stayed there for a while. In his absence, a triad comprising Seelan, Mahathaya and Ragu ‘managed’ the LTTE in Sri Lanka.
" Prabhakaran teamed up with some others and formed the Tamil New Tigers. Apparently some of the Tamil radicals in the ITAK like Rajaratnam of Nunaavil had formed a group named “Tigers” to fight for Tamil rights "
At one point the LTTE, with its depleted ranks, began working together with the Tamil Eelam Liberation Organisation (TELO) led by Thangathurai and Kuttimani. There was a time when Prabhakaran wanted to merge the LTTE remnants under him with the TELO and form a new organization. This, however, did not happen. The arrests of TELO leaders Thangathurai, Kuttimani and Jegan by the Navy in 1981, brought an end to TELO-LTTE cooperation. Now the LTTE began functioning independently under Prabhakaran, who was both its Leader and Military Commander. Later Charles Anthony alias Seelan, became Military Chief. By July 1983, the LTTE cadre numbered 30. There were 23 full-time members and seven part-timers and there were also many ‘helpers’ of all ages from different walks of life. The LTTE killed 13 soldiers through a landmine at Thirunelvely on July 23, 1983. This resulted in the 1983 anti-Tamil violence. There was a spontaneous ‘rush’ by Tamil youths to join the militant movements and fight for Tamil Eelam. India began training and arming the movements. The struggle for Tamil Eelam itself underwent many bizarre twists and peculiar turns. There was internecine warfare among the movements. The LTTE became the dominant Tamil group. The Indo-Lanka Agreement of July 29, 1987, caused a sea of changes in Tamil politics. Except for the LTTE, all other Tamil parties and organizations accepted it and opted to give up the Tamil Eelam struggle and accept devolution provided under the 13th Amendment to the Constitution. The LTTE also agreed initially, surrendered some arms, and even accepted a monthly payment of money from New Delhi as an ‘incentive’ in the early stages. The Tigers, however, changed track soon and resumed hostilities, daring to take on the Indian Army. The ensuing years saw many rounds of peace talks between the LTTE and different governments in Colombo. None of them succeeded and the country suffered endless war interspersed with temporary spells of no war. In the meantime, the LTTE achieved tremendous ‘growth’ in certain aspects. The double-digit membership of 1983 reached five digits. The LTTE developed into a transnational entity with front/branch organizations among the widespread Tamil diaspora. From 1990, the LTTE has succeeded in keeping under its control sizeable parts of the north and east. The area of this de facto state has fluctuated periodically until the end came in May 2009. Tiger territory has increased and decreased according to the fortunes of war. Yet, there was for many years, a “variable” sphere of LTTE control. Within this “LTTE –controlled” area, the Tigers set up structures like Police Stations, Courts, Inland Revenue Offices, TV, Radio, Film units, Newspapers, Banks, Immigration and Emigration Offices, business ventures, farms etc., They even drafted their own laws. Militarily, the LTTE grew. The Tigers raised Infantry Brigades, Women’s Brigades, Commando units and specialized divisions for laying mines, sniping, firing mortars and artillery, resisting tanks and armoured cars etc. The Tigers also formed a naval wing known as Sea Tigers and a fledgling air wing called Air Tigers. The LTTE possessed many marine vessels and a limited number of small aircraft. The LTTE also set up an elaborate overseas network with the Tamil diaspora as its base. There were multiple media organizations engaging in propaganda and myriad activists raising funds. The Tigers had the capacity to organize mass demonstrations at short notice in many Western cities. 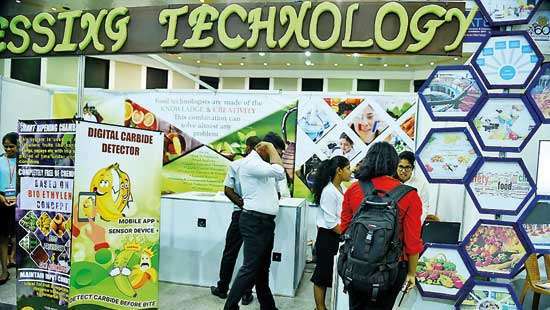 The LTTE also ran many commercial enterprises in several countries both West and East. They also ran a fleet of ships transporting arms acquired overseas to the North of Sri Lanka. In short, the LTTE’s growth in the post-83 era was phenomenal. 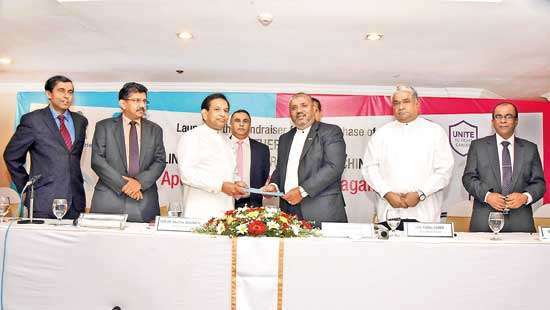 It was perhaps the only enterprise run ‘for, of and by’ the Tamil people in Sri Lanka that registered a ‘success’ of this magnitude after July 1983. This successful growth came at huge cost to the Tamil people of Sri Lanka. Vertically the LTTE went up, but horizontally the Sri Lankan Tamils went down. This was the unpleasant and inconvenient truth that the LTTE and acolytes often denied and did not like to hear being said in the past. World War I was only four years long - from 1914 to 1918. World War II was six years - from 1939 to 1945. This war for Tamil Eelam went on for decades and decades with an intensity and ferocity that debilitated the Tamil people immensely. The Tamil-majority areas experienced a staggered ‘scorched earth policy,’ cunningly implemented in phases by different regimes. Death, injury, destruction, displacement, etc., were part of daily life. Fishing dwindled. Agriculture diminished. Industry became virtually nonexistent. The economy decayed and unemployment was rampant. Single parent families, widows, orphans etc., were widely prevalent. Education, the mainstay of Tamils, suffered considerably. Many schools ceased function. Hospitals got run down. People were displaced from their homes under the pretext of setting up security zones. The quality of life decreased. Infant mortality rates, malnutrition, stunted growth etc., were areas where Tamils in the north and east are affected more than people elsewhere. The social fabric of Tamil society got torn asunder badly, cultural life shrank, values got brutalized, and ethical norms started crumbling. These were the effects of long-term war on a small, powerless people. The worst impact has been on demography. Tamils left the country in very large numbers. Equally large numbers have moved to areas outside the north and east. Only 48% of Sri Lankan Tamils in the Island are said to be living in the north and east now. The Tamils may have proved a point by taking up arms against the State dominated by the numerically larger Sinhala people. But ultimately, demography was also defeating the Tamils. After decades of fighting that debilitated and diminished the Tamil people, no concrete gains were made by the LTTE in winning back the lost rights of the Tamil people. Death, displacement and destruction enveloped the Tamil areas for many years. Despite all this suffering and sorrow undergone by the Tamil people, the LTTE had achieved nothing tangible in its perennial quest for Tamil Eelam. The writing on the wall was discernible to any sensible observer of the military situation from 2007 onwards. Yet, Prabhakaran and his followers were oblivious to reality even as the army advanced. ”Kitta Varattum, Thittam Irukku” (Let them come near. We have a plan) was the parrot-like cry by the top leaders as the enemy neared. Apparently, Prabhakaran and the LTTE were not unduly concerned about the advancing armed forces for quite a while, as the Tigers were confident that the army would not be able to proceed beyond a certain point. This assessment got skewered after the fall of Paranthan, which was a major turning point. Paranthan was followed by Kilinochchi and then Elephant Pass... the hasty evacuation of cadres trapped in the peninsula through a “mini-Dunkirk” type of operation indicated that the Tigers were indeed caught napping. Even after losing the Jaffna-Kandy road or A-9 highway and all areas to its west, the LTTE was yet confident of withstanding the army for a much longer period in areas east of the A-9 highway. The final option was to “carve” out an area of about 350-450 sq km in Mullaitheevvu district with access to the coast and then defend it strenuously. But the rapid progress of the Army during this phase took the LTTE by surprise. Within a relatively quick period, the various military divisions and task forces made sweeping strides into Tiger territory. As a result the LTTE and hundreds of thousands of civilians were boxed into a small space that kept on shrinking as the army began advancing. It was then that the alarm bells began ringing. The civilian casualty toll also started rising as more and more people were crammed into less and less land while the armed forces intensified operations. Now the pro-Tiger Tamil diaspora got into the act. Tamils began engaging in world-wide protests and demonstrations. There was a powerful intensity to these. Tamil Nadu too started boiling. New Delhi was under pressure. It was here that Prabhakaran made four grave miscalculations. Underestimating in two and overestimating in two. He overestimated the impact and influence of the diaspora in the west and the pro-Tiger lobby in Tamil Nadu. The unfolding civilian catastrophe was his trump card. Prabhakaran thought the western nations could be made to exert adequate pressure on Colombo and make it call-off the war. Likewise he thought the passionate emotions of Tamil Nadu could sway New Delhi into moving against the war. If these were overestimation errors, he also underestimated badly the Rajapaksa regime as well as the armed forces. Prabhakaran did not expect the armed forces to keep on progressing relentlessly as they did. But despite heavy losses, the military juggernaut kept on rolling forward. More importantly, he expected President Mahinda Rajapaksa would cave into international pressure and call it quits. Then again Rajapaksa too did not succumb and went ahead with the military campaign. But the biggest blunder of all was to believe wrongly that the LTTE could at some point deliver a crippling blow on the battlefront and exact a heavy casualty toll. This would demoralize the army and help reverse the process, Prabhakaran appears to have surmised. The politico-military situation deteriorated, but Prabhakaran living in a fool’s paradise was pretty sure that at some point the military drive would come to a halt. Thus he continued to stay put. If Prabhakaran was so inclined, he could have either relocated clandestinely to the Wanni or Weli-Oya/Manal Aaru jungles or escaped by sea to South-East Asia. But he did not do so. Apparently he was relying very much on the massive counter-offensive being planned to destroy army defences in the Puthukkudiyiruppu region. But the military debacle on April 4-5, 2009 at Aanandapuram resulting in the deaths of 623 cadres, including his northern force commander “Col” Theepan soured those plans. 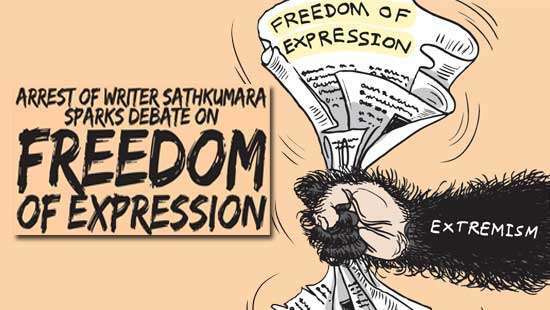 This writer then wrote in these columns that the LTTE could not recover from the Aanandapuram defeat and that this could be the defining moment of the war. That observation was proved correct subsequently. Six weeks after Aanandapuram, the finale came in mid May. 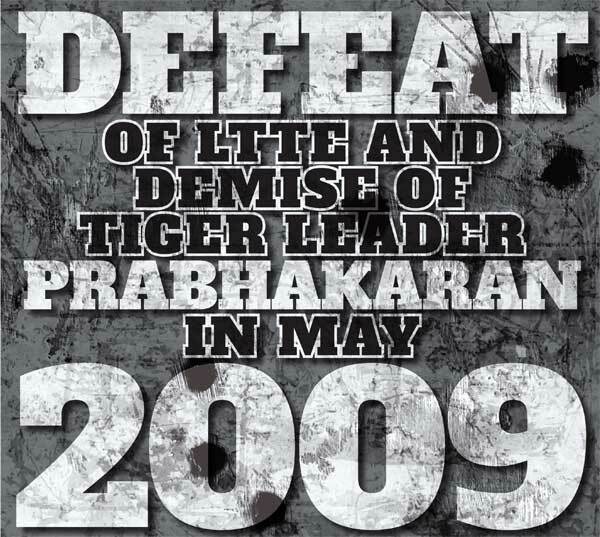 A beleaguered Prabhakaran and his senior Tigers went into a brain-storming session. A decision was reached to launch a tripartite venture. One group of Tigers, including Prabhakaran was to break out from trapped positions and cross the lagoon and Paranthan-Mullaitheevu road or A-35 highway. Thereafter the Tigers would move into the vast Wanni jungles and operate. Some would move to the East. A second group of Tigers would contact the army and negotiate terms of surrender. The main objective was to obtain urgently needed medical treatment for injured cadres, family members and civilians. The third group was to engage in fierce rear guard action. The Tiger contingent tasked to fight to the last was led by none other than Charles Anthony, the eldest son of Prabhakaran. He was to be assisted by special commander from the East, Ramesh. The LTTE launched a massive attack on the armed forces shortly after midnight on Sunday, May 17. The attack was in three directions but mainly directed towards the Nandhikkadal lagoon area held by the 53 division. After fierce fighting led by Bhanu, the three Tiger contingents broke through. One was led by Jeyam, one by Pottu Amman and one by Soosai. The three contingents together numbered about 250-300. Almost all military leaders were part of the three groups trying to break out while the bulk of the political wing stayed behind to surrender. A very large number of Black Tigers died in the assault as explosive-strapped boys and girls jumped on army positions and blew themselves up. This created the “gaps” for other Tigers to penetrate the military cordon. Though Tigers breached the 53- division defences, the soldiers began an intensive artillery barrage in which many died. Also the army had set up layers of defence with more personnel at the back. The LTTE cadres who broke through were to some extent sandwiched in between and later cut down. With the assault resulting in failure and many Tigers being encircled several LTTE cadres began consuming cyanide. Similarly, the Tiger “defenders” led by Charles Anthony were also routed and many survivors swallowed cyanide to avoid capture. Later Charles Anthony was found dead with bullet injuries. The group led by Soosai was initially successful in breaking out of the military cordon. Prabhakaran was with this group. They took cover in the shrubs by Nandhikkadal lagoon. Prabhakaran split from Soosai and embarked on a perilous mission to cross the lagoon by night and reach the safety of jungles in the early hours of the morning on May 18. Though Prabhakaran had at one time hundreds of cadres as bodyguards, only 18 elite fighters accompanied him on the final flight from Mullivaaikkaal. It has also been said that one bodyguard had a can of gasoline with him to burn the Tiger leader’s body if ever he was killed or committed suicide. This was to prevent the enemy seizing his body. But all these expectations were belied on that fateful day. Prabhakaran’s body was discovered before dawn on Tuesday. The body of the 54-year-old supreme leader of the LTTE was found on Tuesday, May 19 near the Mullaitheevu lagoon known as “Nanthikkadal” (sea of conches). He had gunshot wounds in the head and forehead. Soldiers of the 4th Vijayabahu infantry regiment led by Lt. Col. Rohitha Aluvihare claimed to have found it. Thus ended the life of the man who was once described by the LTTE’s political strategist, Anton Stanislaus Balasingham, as both “the President and Prime Minister of Tamil Eelam”. Army commander Sarath Fonseka announced the death officially at 12.15 p.m. on May 19. The ephemeral nature of power was illustrated vividly by the death of Prabhakaran who controlled what was perhaps the most powerful guerrilla organization in the world, and was raised to divine status as “Sooriyathevan” (Sun God) by his sycophantic followers. The circumstances of his death were, just as in life, mired in controversy. Prabhakaran who commenced his militant career with a single pistol had over the years built up the LTTE into a powerful movement running a shadow state and acquired the status of being “Tamil National Leader” (Thesiyath Thalaiver). Yet his inability or unwillingness to be flexible had resulted in Prabhakaran losing his movement, family and above all, his life in a pathetic manner. Like a compulsive gambler, Prabhakaran risked the entire existence of the Tamil people as a vibrant ethnicity in Sri Lanka for the elusive goal of Tamil Eelam. It was an all or nothing gamble for him. He was like an invading military general who burns his boats so that his soldiers have no choice other than to fight on for victory or face death. There is no turning back. If the soldiers win the war, the general will be praised for his steely determination. If they lose, there won’t be anyone left to tell the tale. Ultimately that is what had happened. Prabhakaran and the LTTE are no more but the irredeemable harm caused to the Tamil people “lives after them”.